Through the kindergarten of Rhema House we are involved in children’s education in Goldberich neighborhood for about 20 years. Some of the children who were in the kindergarten in the early years are mature now and have their own families. Unfortunately, it appears that without a further investment in school education those who have passed through the kindergarten are not doing well in school. They enter the first grade having a good start but because of lack of support they begin to fall from one year to another. Their parents do not have either time or the capacity to help them in preparing the homeworks. Thus, the deficiencies in their education get more profound with the years, so we come to see children in the third or fourth grade who still can not read and make basic calculations. The “Rhema House-after school program” is developed to support these children in their educational preparation , starting in first grade. 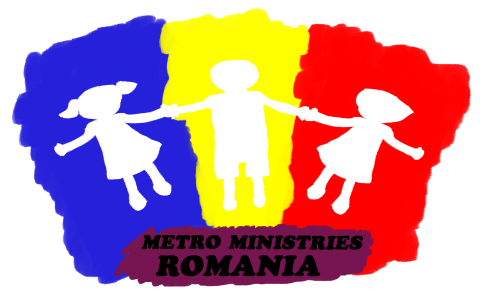 We have gained experience in conducting such programs for many years, in a Roma community in Şoard (about 20 km away from Sighisoara). It is time now to help also the children in Goldberich to achieve good results at school, so they have better chances to find jobs and be integrated in the Romanian society. Children who come to the program receive assistance for school homework and a warm meal. Those who attend regularly and get better results in school will be rewarded at the end of the semester. We want to encourage all of them to do their best in school and to not give up in difficulties. We also help the children with school supplies, clothes and shoes, according to their needs. There are six workers dealing with lessons so that on the one hand each child can prepare the lessons for the next day, and on the other hand we can give more attention to those left behind, especially in reading and counting. The program started on 21th of October 2013 with two meetings per week. From 4th of November the program is set to continue with four meetings per week (Monday to Thursday).